Flapdoodle and codswallop Mr President! And so, as expected, the Vilnius Summit passed without EU – Ukrainian signature, and quite rightly from a European principled position, despite the anguish it will cause for many within Ukraine and no shortage of sadness from myself as another chance to consolidate democracy through a transparent framework passes by. євромайдан must now maintain upward pressure on the Ukrainian authorities and high visibility in EU capitals and Brussels somehow – even if it is via a monthly gathering to mark “Black Thursday” and with a particular and special effort at the next EU-Ukraine Summit at the end of February 2014 – though there are numerous possibilities should Ukrainian civil society actually amount to something – eventually. Listening to the civil society discussion in Vilnius yesterday, I was somewhat saddened by what I heard from what appeared willing and energetic, but seemingly clueless Ukrainian civil society actors, as to what to do next that would have impact. Some apparently expecting others to give them a plan to carry out. Perhaps somebody will take pity today and provide one. If not, just as євромайдан began from a Facebook call by Mustafa Nayyem, undoubtedly society rather than the feckless political class and ineffective civil society will deliver an answer once more. The EU, for its part, must keep Ukrainian reform in the public and political arenas both internally and externally of Ukraine. It cannot be seen to give up on those that gathered proclaiming their desire for European integration. Pressure for reform must remain constant and highly vocal. European integration must be insured as an election issue both from the bottom up, from within both the political class and civil society. If President Yanukovych is to rue this decision then he must suffer the consequences at the voting stations, and no other way, if the European democratic values many want to identify with are to be respected. Current opinion polls would indicate a loss so severe that no amount of vote rigging and result manipulation could be plausibly achieved – though things can and do change. Anyway – As expected in such circumstances of “mutual disappointment”, declarations of intent to continue the process are made by both sides – though we all can expect that the Ukraine leadership will selectively continue any integration process rather than take on the entire process wholeheartedly. That will be after a visit to China with a begging bowl? After threats to leave the European Energy Community that would effectively kill the Association Agreement? Neither of which will deliver, and the same decision to go towards Europe of Russia remains? Which Ukrainian oligarch wants to be a vassal for the Kremlin having export issues decided for them? In effect the statement by President Yanukovych will prove to be no more than flapdoodle and codswallop and Cabinet of Ministers will only do enough to try and convince any onlooker, domestic or foreign, that the process continues. The usual case of being seen to do something without actually doing anything too disadvantageous to their own interests . President Yanukovych’s calls for a tri-party negotiations with Russia are an affront to both Ukrainian and other EaP nation states sovereignty. Yet more flapdoodle and codswallop that should be publicly given short shrift by the EU, EaP nations and every member state. Relations and agreements between the EU and EaP sovereign nations are bilateral and must remain so. To invite Russia as a third party into any negotiation over such agreements is to de facto acknowledge not only a sphere of influence but also to acknowledge Russian hard negotiation power as a back door veto to any EU policy that may affect Russian interests. That simply cannot be the case – now, or in the future. Once bilateral agreements like the Association Agreement/DCFTA are concluded and sealed via initialing, it is then a matter of choice to sign – or not – when the next occasion of suitable pomp and ceremony presents itself to fulfill the promotional need for mutual and public back-slapping by those concerned. If the Kremlin has an issue with such agreements they can take them up with the EU at the numerous EU-Russia summits, or with the sovereign nations concerned requesting information and/or details – whether they get them or not is a different matter – but Russia has no place or right to sit at anybody else’s bilateral negotiation table than their own. If the EU feels that sovereign nations are being unduly pressured by Russia contrary to the OSCE Charter, then it needs to do something about it other than grumble, tut and mutter. No partner in a bilateral agreement can simply stand by and watch it unravel due to malevolent third party interference. Similarly, certainly for the EaP nations who know first hand how Russian foreign policy works – and thus what to expect – they have a responsibility to robustly stick to their choice once made, and receive as much EU support as is possible for doing so in what will be difficult circumstances. In short, both bilateral partners must have faith in each other to defend the agreements against external forces – and hopefully that is what they have when agreements are signed. If not, then the agreements themselves are little more than flapdoodle and codswallop from the start – not that “bad faith” negotiations are anything new on the international scene. Yesterday I wrote that whether Ukraine or the EU likes it or not, Russia has declared through its actions, a geopolitical battle over the EaP nations. The day I wrote that, perversely, the Roshen chocolate ban, a completely unjustified and arbitrary unofficial sanction on Ukrainian produce that had been running many months, was lifted. As this occurred pre-Vilnius, a clear indication that the Kremlin was absolutely confident that Ukraine would not have a last minute change of heart and sign the Association Agreement with the EU. It is perverse in so much as the banned chocolate brand is owned by Petro Poroshenko – a robust supporter of EU integration who took the ban and $ millions of losses in his stride, never wavering from his European integration – via the Association Agreement – stance. The result of not signing the agreement is of direct benefit to his business perversely. Wouldn’t it be even more delightfully perverse if his regained Russian source of income was then employed by sponsoring continued momentum of the євромайдан campaign? For certain, євромайдан would be very welcome when it comes to maintaining upwards pressure on both the Ukrainian president and EU with the EU-Ukraine Summit due at the end of February 2014. Another plausible chance at signing agreements – prior the European parliamentary elections and a good deal of inward looking by Europe for a while. The EU also announced that it has recommended the removal of Visas for Moldavian citizens – at least those who hold a biometric passport. That decision, perversely, now gives Moldavians Visa-free within the Schengen area, despite neighbouring Romania, a full EU member and “cultural home” to many Moldavians, still being denied Visa-free within a block it is a member of. Perhaps that will stem the tide of 22% of Moldavians seeking and happily being granted Romanian passports and thus Romanian annexation of Moldova via populous if not territory. Perversely, after forcing Ukraine and Armenia from the thus far less than convincing embrace of the EU Association Agreement, and with a need to put spanners in the Moldavian and Georgian works as well, there is perhaps to be expected a short but definite lull in overt Russian pressure leading up to and during the Sochi Winter Olympics – despite momentum being with Russia in the geopolitical battle currently. However, thereafter, undoubtedly Russian pressure will increase, surpassing anything seen thus far, as Mr Putin can then concentrate more fully on his political legacy of Russian imperialism via the Eurasian Union due to launch officially in 2015. Despite many “experts” and “commentators” stating that without Ukraine it is nothing but a hollow shell, it is perhaps Kazakhstan and not Ukraine that will be the undoing of Mr Putin’s Eurasian political legacy before it even officially gets going. It is no secret that the Kazakhs are very unhappy with the existing Customs Union and will need a great deal of convincing to continue onwards with the new Eurasian Union. Perversely the threat of it unraveling comes not from an unwilling Ukraine, but from within its existing ranks. Recognising the pooh-poohing of Mr Putin’s imperialist desire to leave a political legacy of the Eurasian Union by the Europeans, perversely, if there is a driver other than his own legacy of a Eurasian Union, it is not to combat the slow moving, lowest common dominator and cumbersome European Union – which he more than capable of tackling – it is to restrain the far more nimble, unilaterally decision making China. I could go on and on with such examples, but there is a peculiarly delightful perversity to the geopolitics of this region that hardly ever fails to deliver, no matter what layer of policy or strategy you care to look at. Meanwhile, amongst all this perversity, let us hope that Mrs Merkel, Poland and the Baltic States, put some spine into European affairs and Russia is confronted in its geopolitics convincingly. I once, just over a year ago in a European journal, drew a sharp response from Stefan Fule when talking about the geopolitics of Ukraine and the EaP. I was robustly criticised by Mr Fule for daring to view the issue through a geopolitical lens, who then went on to admonish me publicly in the aforementioned journal for being “unhelpful” (but tellingly not wrong). Is it not wise to view any policy through many lenses and anticipate all probable (and less probable) results to be able to create contingencies in order to eliminate and/or mitigate likely (and unlikely) fallout? What chance then the geopolitical status quo that Prime Minister Azarov seems intent to try keep and promote between the EU and Russia, the domestic regions of Ukraine, the demographic differences between the identities of middle aged Homo Sovieticus and youthful independent Ukrainians, and lastly – and perhaps least important to anybody but themselves – a polarised, entrenched, feckless political class in its entirety, disliked and untrusted by every other actor named above, and many more besides. “We absolutely do not want to be a battleground between the EU and Russia, a field of confrontation. We want to have good relations with both the EU and Russia. How is that going to be achieved now? A gradual mellowing over time? Or perhaps the agreement of political parties to remove political flags at євромайдан, together with today’s announcement via Yulia Tymoshenko’s website that her release is no longer a benchmark in the EU Association Agreement selective justice policy will prove decision changers at the very last moment? By stating Ukraine would choose “European integration” via the EU Association Agreement, Ukraine chose a side – however briefly or not that may turn out to be. It also actively shunned Customs Union advances. Both publicly. Russia then mobilised and battle commenced with Russia immediately shrinking the Ukrainian economy allegedly by 25% between August and November – with the ability to shrink it by perhaps the same again. One suspects that Roshen chocolate probably suffered an even greater reduction, despite my own personal best efforts to mitigate their losses. In fact, given that I have actively tried to avoid Russian products (not that I am anti-Russian per se) and deliberately eaten Roshen chocolate, drank Moldavian wine and eaten Lithuanian cheese in response to various unofficial Russian sanctions, and in quantities all probably detrimental to my health, perhaps Germany – given the Tymoshenko example – will volunteer to treat forthcoming cardiac issues in response to my principled stand in support of sovereignty and democracy? Anyway, Ukrainian leadership buckled – perhaps understandably from an economic point of view, unforgivably from a values perspective. Does an in-out, in-out policy not encourage those with “interests” to continue to fight? Two inconsistent governmental decisions would seem to invite the geopolitical battle that Mr Azarov wants to avoid. Whatever, the current decision makers are now faced with a leadership legitimacy issue, having previously claimed a victory in completing the Association Agreement and DCFTA negotiations, and yet another in its initialing. To then shrink from its signing due to its immediate economic consequences (amongst other more personal concerns no doubt) that any half-arsed policy planner with even the most basic knowledge of Russian foreign policy and strategy would have predicted in a moment, is incompetent. How do you frame the fact that the agreements you negotiated and initialed to much domestic and international fanfare are now actually not good for Ukraine – in fact, so bad you aren’t going to sign them – due to oh so predictable Russian reactions that you apparently failed to foresee despite being under the Kremlin yoke for generations and getting your own political grounding within the same system they did? Now, whether Mr Azarov likes it or not, Ukraine is most definitely a geopolitical battleground. After such a close EU-Ukrainian scare, the Kremlin is not about to sit back, relax, and allow the manufacturing of a second chance so easily – and certainly not without inflicting a great deal of pain if it is to happen – even if the champagne corks are popping in Moscow’s political circles over the next few days. Pressure and strategy to prevent any other attempts to sign will only increase. Having chosen a side eventually, Ukrainian leadership has shown exactly zero leadership since. To anticipate a painless move westwards with the Kremlin’s blessing can have been dreamed of only by those very few that ride unicorns and count the Leprechaun’s gold whilst sleeping in an opiate induced state. Those within the EU that failed to anticipate this Russian reaction must also have the same drug dealer peddling reality bending products. Geopolitics Mr Fule – you’re right, they are “unhelpful” – but they are a reality! Unfortunately for Mr Azarov, Russia has already declared – by practical demonstration – Ukraine a geopolitical battlefield that it fully intends to control. The only question for Russia is who its opponent or opponents will be. Will it be the EU, the EU and Ukraine, simply Ukraine – or the 20 – 30 somethings of Ukraine at Євромайдан alone? How many EU Member States, after the EU takes a very hard lesson in the limits of soft power, influence, unity, strategy and realpolitik in its own backyard, will simply allow Russia the chance to reclaim Ukraine rather than stand up for the values they were using as the driver for the agreement with Ukraine? Which will cite the OSCE Charter as a basis of taking on Russia over Ukraine and the other EaP nations, and which will cite it and think that is enough? Will bilateral interests with Russia trump the EU values? They normally do! If the latest draft version of the EU Vilnius declaration is anything to go by, complete capitulation by the EU should be expected. An earlier version of a draft declaration included reference to Article 49 of the European Charter for EaP nations. Symbolic. The current draft has it removed – also symbolic. Whether that removal is to deliberately discourage EaP nations from believing in eventual EU Membership, or to pacify politically reluctant nations like France when it comes to all things EaP, or to appease Russia – perhaps a combination of any or all of the aforementioned – a robust response from the EU and its Members States is not likely to materialise in any shape or form whatsoever given this first example, post Russian hard pressure. When it comes to backing up its “values” with anything other than rhetoric in relation to all things geopolitical involving Russia – the EU and Member States are found wanting each and every time. You sometimes have to wonder if it would take Mr Putin taking a crap in Mrs Merkel’s handbag and then to wipe his arse on Elmar Brok’s head to get anything other than a rhetorical response from the EU or a Member State with regard to Russian hard strategy – even when it so clearly comes at the expense of EU policy and international image. Whatever, geopolitical battleground Ukraine now certainly is. Russia has made it so – whether or not Ukraine or the EU like it. The question is how much resistance will it face and from whom. I suspect we are about to see just how much EaP nations and their constituents can rely on the EU when things get tough and Russia tries to apply a coercive veto to its neighbours aspirations. Just how hard is the EU prepared to fight for its values when their projection is under threat from Russian “hard” negotiation? I expect the usual spin, blaming others for not having the strength or will to take “values” on board – (were they not targeted in the EaP policy partly because they were weak in values in the first place, in an effort to solidify and consolidate values) – and the usual self-denial that when push comes to shove, the EU’s collective lack of will to stand in the face of an aggressive Russia is consistent. The Customs Union and Eurasian Union may not hold sufficient attraction to force Ukraine to sign up to it under any circumstances, but Russia certainly believes – and so far with good cause – that if and when Ukraine integrates with Europe, it will be with Russian consent and Russian involvement in the process – a power of veto by any other name. And it seems the EU is about to concede that ability to hold an unofficial veto unopposed. A very simple question from a reader has arrived asking if євромайдан and the massive protests will work and change the decision of the Cabinet of Ministers and President to suspend the signing of the EU Association Agreement in the next few days. The answer to that, as far as the Vilnius Summit is concerned is a definite and unambiguous “No”. As much as I believe in the ideology behind the євромайдан civic gatherings, they are not going to be enough to change the decision made by those that have made them – and short of some very direct realpolitik by Angela Merkel with Viktor Yanukovych at the Summit, there is no chance of a changing of the decision. That realpolitik is very unlikely to happen with Anegla Merkel having already charged Russia with breaches of OSCE Charter for carrying out exactly the kind of realpolitik that she would need to use to try and reverse the current decision. Thus the Europeans have effectively reached the limits of negotiation and their soft power, #євромайдан has an approving look from the Europeans but little more in the immediate, and the opposition cannot effectively hijack the demonstrations without a lot of the demonstrators going home, unwilling to be associated with the political rhetoric and add-ons they will want to attach to the single and simple message the protests have been organised to deliver. However, success when it comes to policy, including the policy of civic gatherings, is a subjective issue and depends very much upon the definition given to “success”, the parameters and benchmarks of measurement and time over which it is measured. #євромайдан will fail to achieve signatures at the Vilnius Summit. In that regard it will not be a success. What it has done is awake a distant and bureaucratic politic class, both in Ukraine and the EU, to the emotional, psychological and romantic pull of the younger generations toward Europe. With every year that passes, there is an inevitability that the Ukrainian identity gets stronger and ties to the ex-Soviet nations weaker psychologically. The romanticism and ideologies psychologically attached to London, Paris, Vienna, Barcelona et al simply overwhelm the attraction of Moscow for the younger generations. So whilst an independent Ukrainian identity gets stronger through the demographic of new voters reaching voting age vis a vis the old “Homo Sovieticus” voting generation dying off, the bias westwards will grow. євромайдан has perhaps removed the view that the Ukrainian exercise is simply a paper bureaucratic exercise for those far removed from society and sitting in a policy drafting bubble. For once they are not getting political or civil society input, neither of which are particularly reliable in Ukraine – this feedback is direct from the people and in large numbers. Especially from the future of Ukraine – the youth to 30 somethings demographic. The public display may very well help garner a much more robust and united position on Ukraine amongst the European nations. After all, they now know where the Ukrainian heart is – or will certainly be as time passes – despite having to suffer the same feckless political class when dealing with Ukraine that the Ukrainian society has to suffer. If this happens because of євромайдан then that is surely a success. If it brings about momentum to take decisions over Visa-free tourist visits to the Schengen area for Ukrainians sooner rather than later to further their romantic and ideological draw to European capitals and consolidate a generational move away from Moscow, then there are definite advantages to playing that long-term game for Europe. If this happens because of євромайдан then that is a success. It will certainly keep the EU Association Agreement issue as an electoral issue for the 2015 presidential elections and keep all candidates talking “integration westwards”. There are of course issues for євромайдан post Vilnius and the most important are whether it will continue and maintain any momentum turning from civic gatherings to civil society entity or not. To disappear would be a failure when the job remains to be done. The other is will it allow itself to become party politically aligned. That would also be a failure. It must remain consistent in its European integration message and as “a-political” and inclusive as is possible. Ultimately, whether євромайдан works and is a success depends upon your definition of success, how you measure it and over what time you anticipate favourable results. In the short term, at the very least, the EU cannot be seen to abandon the Ukrainian people or their future now. There can be no retraction of the Association Agreement from Ukraine. At the very least, European integration will remain a domestic political topic until the 2015 presidential elections and beyond. 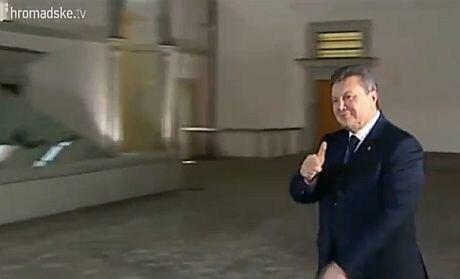 In that regard євромайдан has done a sterling job if not fulfilling its initial goal in a few days time. Civic gatherings – Lessons for the opposition? Since the presidency of Viktor Yanukovych began, there have really been only two large scale demonstrations amounting to more than 5 thousand people. The first was over changes to the Tax Code, prior to the jailing of Ms Tymoshenko. A demonstration that was grass roots driven, and publicly shunned the advances of the political class to turn it into anything other than a demonstration over this specific policy. The crowd consisting of voters from all political parties from every region of Ukraine. A genuine cross-cutting cleavage issue that genuinely transgressed party affiliations and associated political party support. The second demonstration was yesterday over Евромайдан and the suspension of the signing of the EU Association Agreement. The most noticeable demonstration naturally in the capital Kyiv – as was the Tax Code demonstration – although the sheer number of local and regional demonstrations should not be overlooked. Kyiv, after all, is not accessible to everybody when they want to exercise their democratic right to visibly and vocally object to a policy. This demonstration also beginning without organisation by the political class as I have previously written. A grass roots reaction instigated by political journalist Mustafa Nayyem. Again, a huge turnout over a specific policy that given about 50% of Party of Regions voters support the European integration route, also provided genuine cross-cutting cleavage appeal – and got it – despite the opposition politicians attempting to hijack the very simple message to the president from the crowd to “sign the agreement” and turn it into a platform for the opposition political class to present a wish list to add on. In contrast, is the reaction of society to Ms Tymoshenko’s jailing and opposition politicians calling people to the streets with the ill-conceived “Stand up Ukraine”, that at most gathered 4 thousand in any particular city. – Far, far less than the numbers that turned out yesterday or for the Tax Code demonstrations. There is a clear and obvious lesson here that even the most retarded can’t miss. Policy – and not personality promotion/denigration – bring a large, vocal and visible societal response when it riles the public will. The voters are moving on from populist personalities, and it is time the political class caught up with the public. It would be a mistake for the opposition to believe the Евромайдан demonstrations are a reflection of their popularity. They should look to their catastrophic failure of the “Stand up Ukraine” debacle when it comes to personalising populist agendas of their own making, notwithstanding the fact that some opposition MPs have been physically prevented from addressing European integration rallies in the very heart of “opposition territory” by their own constituents. It is perhaps a sign of a growing maturity amongst the Ukrainian electorate that policy – and not personality – is the only reason they will come to the streets in huge numbers – and policy generally has a cross-cutting cleavage across the entire Ukrainian people that populist divisive personality politics can never have. Thus, whether Евромайдан manages to restart the current Association Agreement stalling via panicking the National Security Council and the president or not, it would be a wise presidential candidate that decides to run a campaign based on policy rather than the usual name calling and besmirching of personality associated with the zero sum, polarising politics of Ukraine historically. If we are to advise any presidential candidate of policies that would need to hit home with the voting public – aside from signing the Association Agreement if that has not already been done – explanations in candid and simplistic detail of policies that address the public concerns would be a good idea. Strategies – and not more unimplemented legislation – stating exactly how any president will tackle corruption – the number 1 concern of the public. Strategies – with numbers and where those numbers will come from – about how any new president will turn around the Ukrainian economy – the number 2 concern of the public. In fact, should any candidate take the top 5 issues of concern relating to the matters consistently returned in public opinion surveys and talk in the simplest terms of clear strategy relating to how they will be achieve results – policy and strategy statements – it seems quite likely their voters will turn out to support the policies rather than the voters of candidates that simply sling mud and blame at the others in the traditional Ukrainian political competition of claiming to be the least worst option. After all, none of the potentially politically divisive issues rank in the top 5 concerns of the vast majority of the Ukrainian public – and why would they? The entire public suffer as a whole through a feckless political class failing to address cross-cleavage issues that consistently fill the top survey slots. A wise candidate may consider the turnout numbers when personality issues were presented to the public vis a vis the policy decisions that caused massive turnouts. A strategy therein could be the difference between a Klitschko or Yatseniuk presidency. A retarded candidate however, will shun the lessons outlined above and stick to zero sum, divisive, ineffectual empty slogans the public are so tired of hearing, when claiming to be the least worst option available. A few days ago I wrote “#Евромайдан – A demographic battle for the immediate future?” which went down rather well in the world of social media – despite all I wrote being so blatantly obvious. Typically, not a “paid piece” (sigh) – but then a “paid piece” normally demands more than statements of the blatantly obvious! So to follow along the so blatantly obvious route, whether the Евромайдан achieves its objective or not – and according to the Facebook page, the single objective is to sign the EU Association Agreement, despite opposition leaders attempts to hijack the momentum and turn it into a party political demonstration of their making – both Ukrainian and Russian leaderships need to accept an obvious trend. That trend is quite simple. There is a new generation of voters, be they Batkivshchyna, UDAR, Party of Regions, or Svoboda, that have only ever known an independent Ukraine. Every year produces more of these voters, whilst every year, those who knew the old system of the Communist era literally die off. That slow but sure demographic shift holds an ever-decreasing misty-eyed nostalgia for the connections of the past. It is a matter of time, be it 5, 10 or even 20 years, before the Communist Party of Ukraine will fail to reach the 5% threshold required in a national vote to enter the RADA – less possibly certain charismatic individuals winning the occasional seat that would buck the trend. With every year that passes, whether Ukrainian or Russian is the first language of choice, Ukraine becomes more and more Ukrainian as more voters arrive who have only ever identified themselves as the product of an independent Ukraine – they have no alternative identity as those who now die off may have identified with several differing labels. This is perhaps why the language issue ranks so very lowly in opinion surveys of the Ukrainian public (despite the high political priority given to the entrenched and polarised political class). Obviously, although not in my lifetime, there will not be a Ukrainian voter that is anything other than a product of an independent Ukraine – but even before that time comes however, once a solid majority recalls the USSR and the “brotherly bonds” that the Russian political class now so desperately try to promote, for them it will be nothing more than a passage in history books. A psychological divorce will have occurred – at least as far as Ukraine is concerned. Now that does not mean that Ukraine will join the EU now, soon or ever. By the time it is ready to join the EU, and the EU is ready to accept it, who knows what the EU will have become? It certainly will not be the same entity that it is today. It is no longer what it was at its creation. Things change. But integration will occur because the vast majority of current generation of 20-30 somethings (and those still to come) clearly seeing this as their preferred path – as the demographics at Евромайдан in every Ukrainian city display. Carl Bildt, Swedish Foreign Minister has said before, to paraphrase, Ukraine has the resources and potential to become a European China. Eventually the feckless political class of all parties that currently fails the nation time and time again, election cycle after election cycle, and regardless of winner, will also be a chapter in Ukrainian history books just as the USSR has become for those born in an independent Ukraine. Perhaps over some distant horizon, under competent governance, Carl Bildt will be proven right – assuming the current feckless political class haven’t already sold Ukraine to China by that time. Would a “European China” or anything coming even remotely close to that status need or want to join the EU? Whatever the case, year after year, the Ukrainian identity gets stronger and its psychological and historical ties to Russia become weaker through the passage of time and associated identity demographics that naturally follow – no matter how slowly and how far the national economies of Ukraine and Russia can actually become unpicked and diversified. This clarity of identity is an inevitability for Ukraine – one reinforced by the outside world that also identifies Ukrainian and Ukrainians with no alternative labeling – no matter how much any politician may want to change that reality. 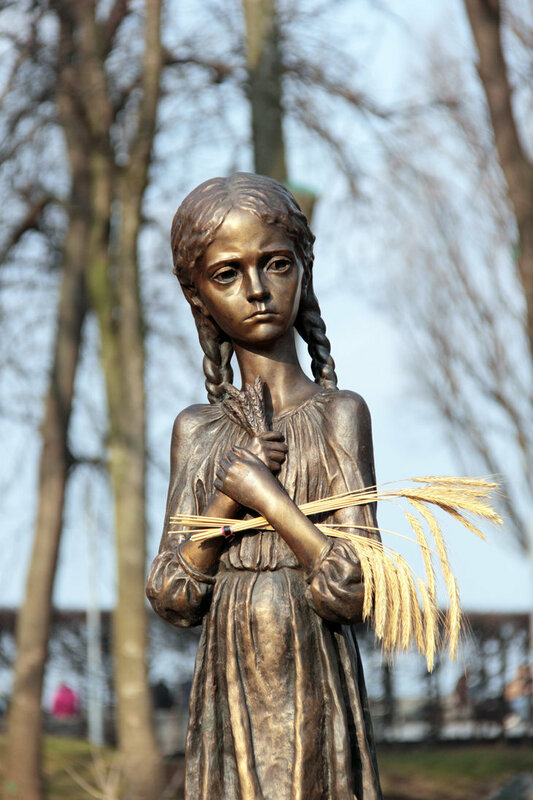 Today, being the 4th Saturday of November – a date set in Ukraine to remember the millions who died during 1932-33 Holodomor (to kill by hunger) – an undoubted crime against humanity – I will leave the issues of today for 24 hours as decorum would dictate. Yet another sorry period of history in which the populous of this region are forced to mark, and solemnly recall, yet more political madness that blighted and ended so many lives unnecessarily. You are currently browsing the Odessablog's Blog blog archives for November, 2013.